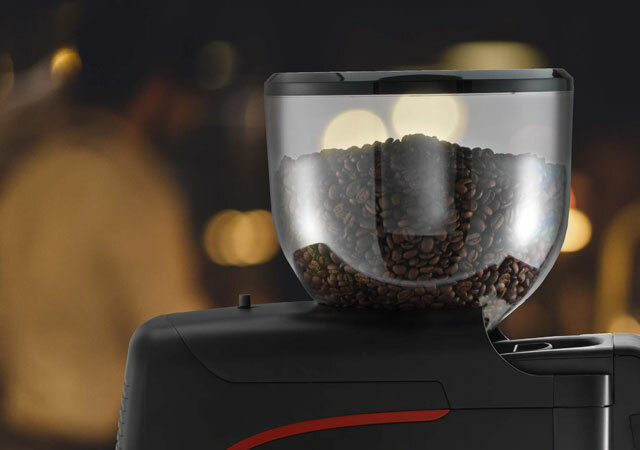 With super smart Italian styling our new high performance La Cimbali Elective touch screen coffee grinder–doser has a host of innovative barista friendly features which create a consistent grind experience for maximum freshness, taste and aroma. Much of the magic is invisible to the naked eye. For example, the ventilation system keeps the temperature of the grinder, beans and coffee at a constant to ensure an uncompromising quality even through busy periods. A perfect partner to the La Cimbali M100 traditional espresso machine as part of the integrated Barista Drive System, the Elective features Bluetooth connectivity which also makes it the grinder of choice for use with PGS enabled M39TE and M34 machines.